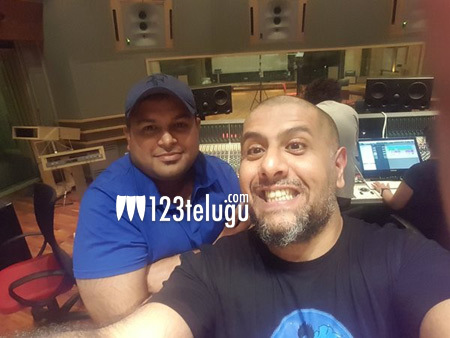 While the unit of Stylish Star Allu Arjun’s Sarrainodu is canning a romantic duet on Bunny and Rakul Preet in the breathtaking flat salt beds of Salar de Uyuni, Bolivia, the film’s music composer Thaman is busy recording a new song for the film in Hyderabad. Sarrainodu is gearing up for a mid April release. The film is being directed by Boyapati Sreenu and produced by Allu Arvind.